Theresa May yesterday told the SNP to empower local government instead of “hoarding power” at Holyrood after Moray Council cuts were raised at Prime Minister’s Questions. The prime minister made her remarks after Moray MP Douglas Ross of the Conservatives raised the impact of cuts on swimming pools and libraries. Mr Ross told Mrs May that “SNP-led Moray Council” had announced “devastating cuts” to local services. 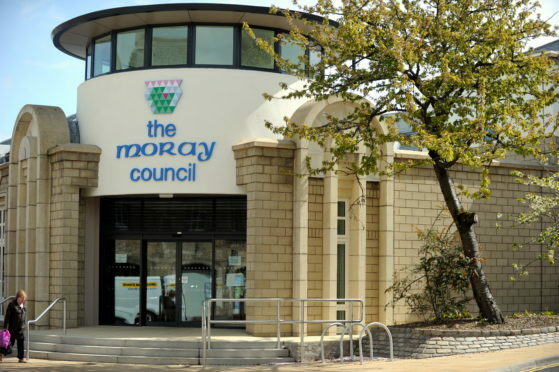 The Moray MP mentioned proposals to close libraries and swimming pools, increasing music tuition fees and the ending of the Active Schools programme. Mrs May replied, by saying that the amount of cash coming to Scotland from the Treasury under the Barnett Formula had increased. Mrs May said: “The UK Government has increased the block grant that is going to the Scottish Government next year, so decisions on cutting budgets are a matter of priority for the SNP rather than necessity. Extra money has been given to them.